It’s grey seal pupping season and unfortunately that means that some of these pups will be coming into some danger. That is where the Marine Rescue Team at Blue Reef Aquarium comes into play. Grey seals give birth between September and December and can be spotted all around the coast of the UK; young pups can be identified by their white fur. Occasionally one of these pups will run into trouble, or become separated from their mother. 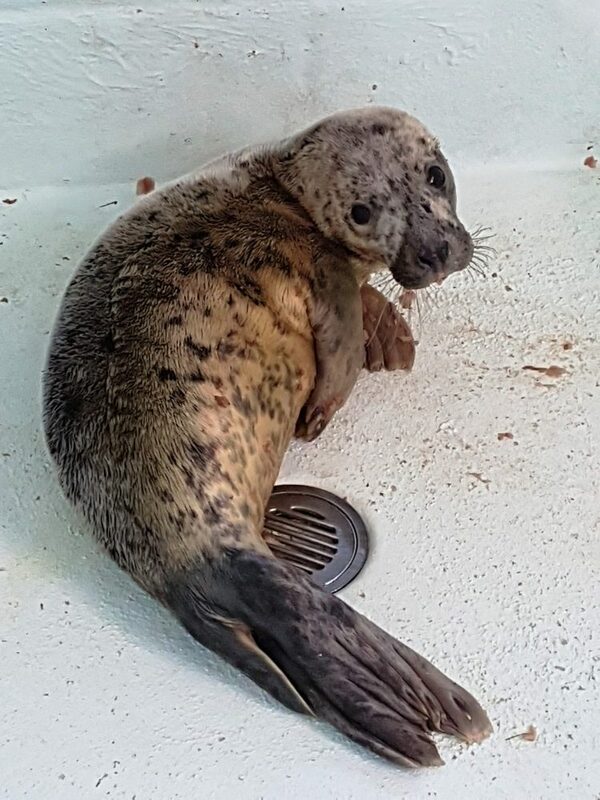 Earlier this week a seal pup was picked up in the Wirral by the British Divers Marine Life Rescue (BDMLR) who were worried by her condition. She was brought to the team in Tynemouth for assessment and treatment. She has been given the name ‘Celine’ and the team are confident that her heart will go on! On arrival she was given a thorough check up by the team of Blue Reef staff and volunteers from BDMLR. She had no major injuries, however was showing the signs of hypothermia. Terry McKeone, Head of the Seal Rescue Team said “We were relived to have found no major injuries on this occasion and we are looking forward to getting her back into the wild. Grey seals along with harbour seals are commonly seen on beaches around the North East coastline. Once Celine is well enough and is able to feed herself the team will release her back into the wild where they hope she will join up with a local seal colony. These colonies of seals are amazing to witness, but our interaction with them can cause issues.